Sansuk Town. 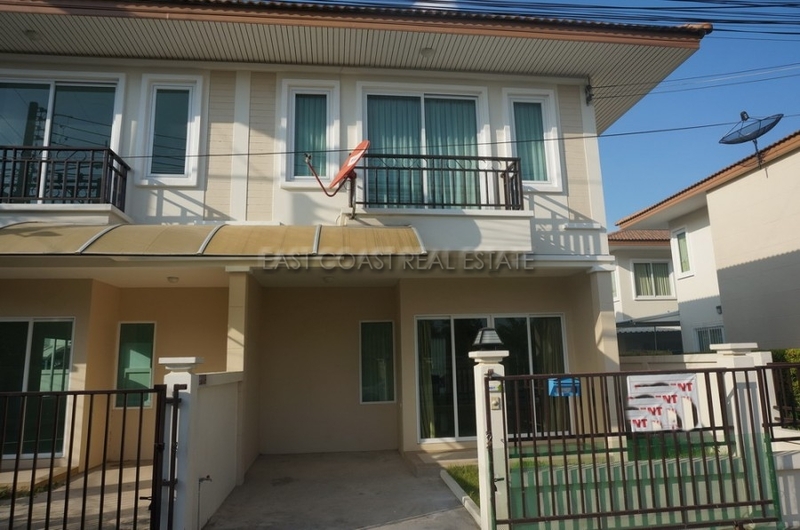 This new townhouse is located in east Pattaya just off from the Soi Nern Plabwan area. From here there a local schools, markets, convenience stores, and the Mabprachan lake is within easy reach offering its Western style pubs and restaurants. A golfers delight with 2 International courses on your doorstep. Pattaya City is roughly a 15 minute drive away for all the shopping complexes, water sports and beaches. The village provides a nice communal swimming pool, and 24 hour security. The house has received some stylish touches whilst being completed and has an upgraded kitchen and new air conditioners, and furniture. It consists of 3 bedrooms, and 3 bathrooms. The house is spaced out on 2 levels, with the living areas on the ground floor (plus guest bathroom and even a store cupboard) and the sleeping rooms on the upper floor. The master bedroom has hidden walk through wardrobes and a small balcony. This home is available for sale fully furnished.